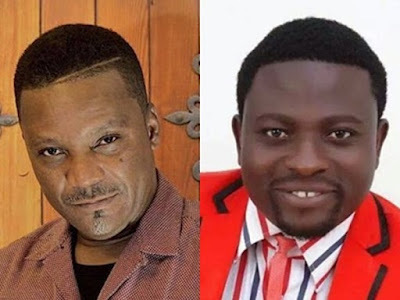 Gospel musician Brother Sammy may find himself in hot waters if he fails to comply with a directive from Slim Busterr. According to Ghanaian dancer and musician Slim Busterr, he is not happy that Brother Sammy took portions of his ‘Nhyira’ song for his ‘Nipafoo’ worship song. In a directive issued through the Ghana Music Rights Organisation (GHAMRO), Slim Busterr states that Brother Sammy did not seek his consent before using parts of his song which features Tinny. Speaking to citinewsroom, the publicist of Ebenezer Asare (Slim Busterr), Reagan Ofosu said Brother Sammy has declined to respond to their calls but they are going to take a legal action against him. “If he keeps ignoring our calls, we are going to take him to court. The song is an original musical work which was created and produced by Slim Busterr in 2018,” he said. However in an interview with Adom TV about two weeks ago, the ‘Nation’s Worshipper’ admitted that he took portions of the song from Slim Busterr. He also said he did not do the song for sale. He saw people perform it on social media and also felt like doing his version of it. “This is not a song I did to sell. It was all over social media. It is a very popular song in Kumasi and I decided to also produce it,” he told Sandy. Since he released the song on social media, most people have criticized him for using abusive words in a gospel song.